Beyond the regular cat toys like balls and teasers, you can make a ball out of aluminum foil. 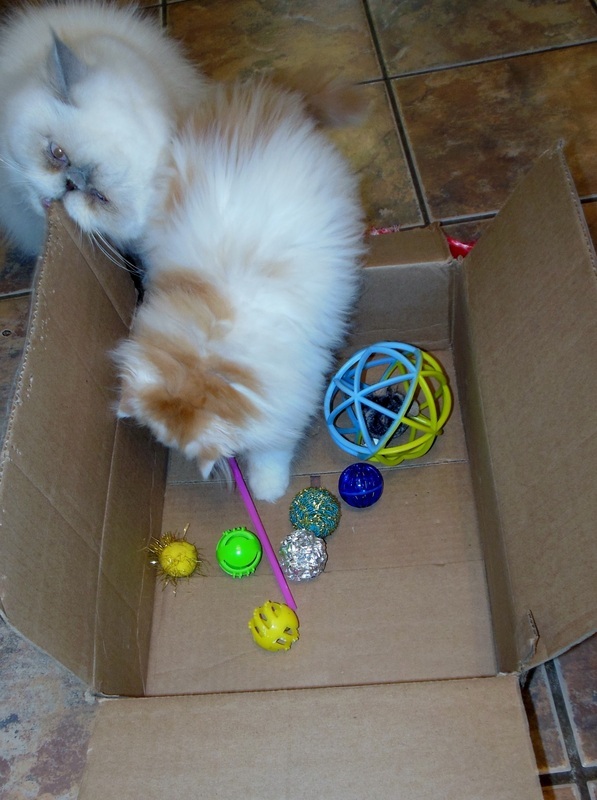 They will also love to play in a cardboard box. Plastic drinking straws will also delight cats of all ages. They also love to chase the light from a flashlight or laser light. Make sure to provide a nice quality cat tree for your kitten or cat to climb up. Do NOT allow your kitten to play with your hands or feet. It may be cute at first, but you'll end up regretting it. Even trimmed claws can cause nasty scratches. Don't scold your kitten, just get him/her a toy to play rough with. Put some toys away just as you would with your children's toys. It'll be exciting when you bring the toy back out again at a later date. 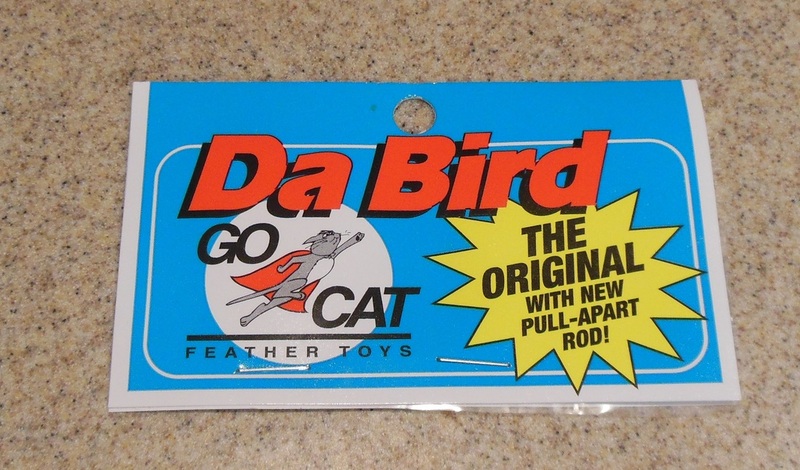 Pictured to the right is the tag from my most recent cat toy purchase, called Da Bird. Let me tell you...my cats LOVE it! You literally have to hide the toy when not using it, because they'll totally tear it up. They think it's a real bird I guess. I bought it at a pet supply store. It has a few feathers on the end of a long stick. My cats/kittens gave it two thumbs up...I mean paws.